Understanding the range anxiety EVs (electric vehicles) produce, Solid Green director Warren Gray takes up a challenge to show that the technology has come of age: driving from Johannesburg to Cape Town via the Drakensberg and Eastern Cape. The ritual of refilling the BMW i3 REX (REX meaning Range-extender – a term for the small petrol generator that can keep this electric vehicle’s battery charged) is the same no matter what city, roadside filling station or small town you come to. Stopping short of the pump, petrol attendants always ask you to move forward to access what seems to be the petrol flap at the rear. This actually conceals the electric charging port, as the petrol tank is filled at the front of the car. From there you get the same series of questions: Is that a second petrol tank at the back? No – it’s for an electric charger for the battery. How far can you go on a charge? About 130 km. Is the car fast? Yes – it will out-accelerate most performance cars. In fact, up to 40 km an hour it’s the quickest car BMW has ever made. I once had an owner of a petrol station along the N3 approach me and ask if I could drive him in the car. Impressed by the acceleration, he said: “It’s just a matter of time before I’ll have to close down.” In the long run, he’s right. But petrol cars will be here to stay for another few decades. Bloomberg predicts that by 2022, electric cars will cost the same as their petrol counterparts – but with far lower operating costs. Then there’s the superior performance. Batteries will continue to get smaller and lighter while petrol engines are up against their physical limits. After all, the world’s fastest production car is the Tesla Model S P100D. Think about that for a second – there is no road-legal Ferrari, Lamborghini, McLaren or Porsche that can accelerate as fast as the Tesla. And yet the Tesla is a tenth of the price of some of its petrol competitors and seats seven people – all this while qualifying for low-emissions rebates in most first-world countries. With that reality approaching, I always enjoy indulging people’s curiosity about the i3 – knowing that this is often a person’s first experience with an EV ahead of a future where they will be the norm. 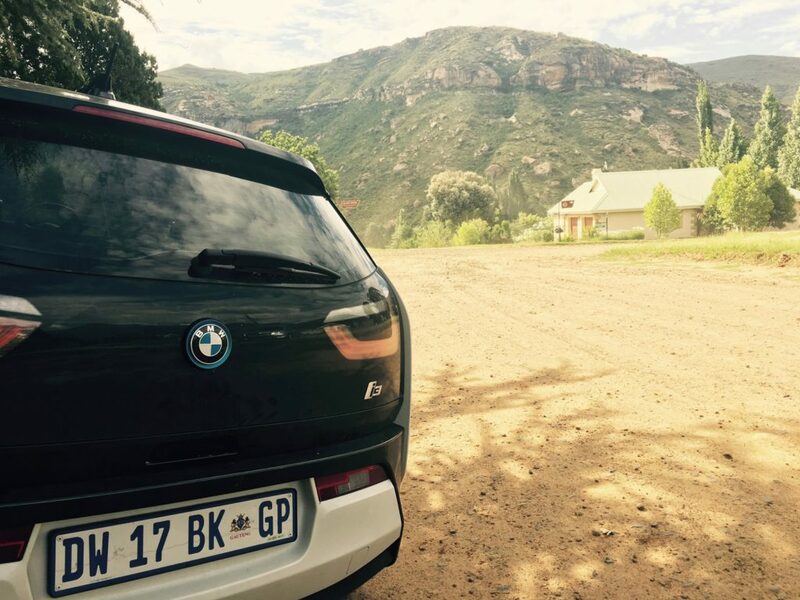 Along this route I’ve chosen from Johannesburg to Cape Town via the Drakensberg and Eastern Cape, most people have never seen an electric car, as these vehicles are only sold in larger cities. To my knowledge, no one has attempted a trip as long as this one. The trip was born out of a question I’d often get. 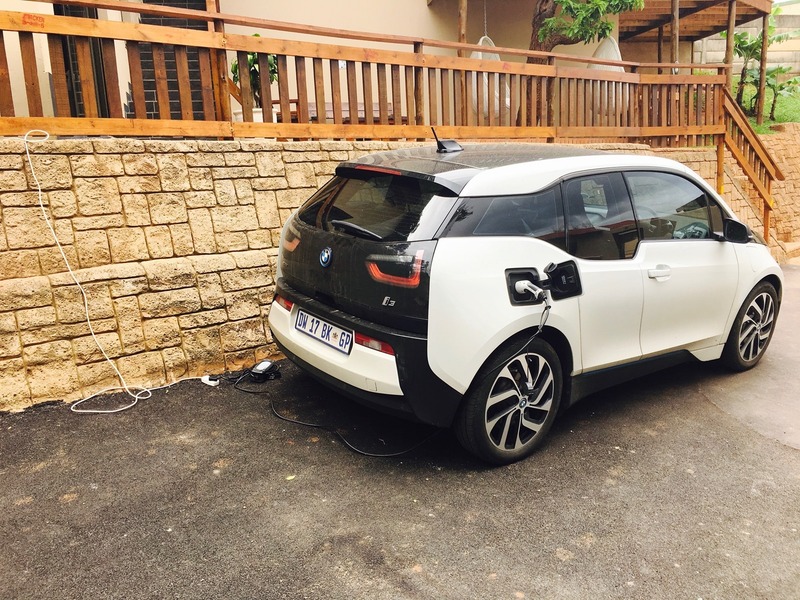 Sure, the BMW i3 is great for cruising around town at almost zero fuel cost where you can charge it each night using the home charger, but can it get to Durban? While I’m of the opinion that most motorists overestimate the amount of long trips they actually undertake, I was determined to prove that not only was Durban possible without much inconvenience, but so was an extended and scenic route to Cape Town. The route I took involved stops in the northern Drakensberg, Clarens, Central Drakensberg, Durban, East London, Kenton-on-Sea and finally Cape Town. 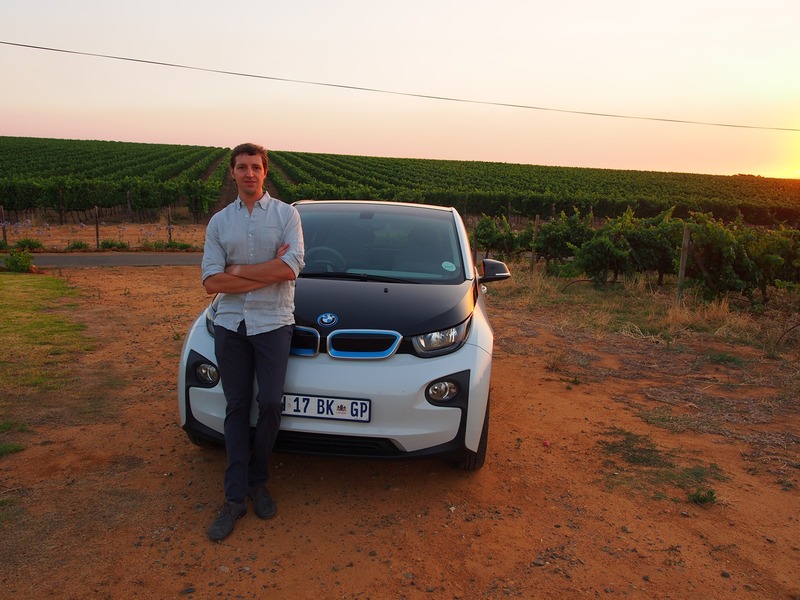 The latter leg of the trip was a marathon 874 km, proving that the i3 REX is a match for any distance one may want to do. Although sold as an EV, the REX version of the i3 is actually what is termed a series hybrid. This means that a small onboard engine acts as a generator to keep the battery charged if you ever run out of electrical energy in the battery. While handy to alleviate range anxiety in South Africa, I find that I have never actually needed it in the city where I start each day with 130 km thanks to an overnight charge. Where it becomes handy is on long road trips. This feature offers the car the convenience of an EV which can be charged for almost nothing in the city, while giving incredible fuel efficiency on long trips. The BMW i3 is still the most fuel-efficient car ever sold commercially. This is partly due to the low weight attributed to the carbon-fibre construction of the cabin, and partly due to the full regenerative braking. The novelty never wears off when coming down a mountain pass and watching the battery charge climb as you descend. I’ve actually done a few long trips before this one. 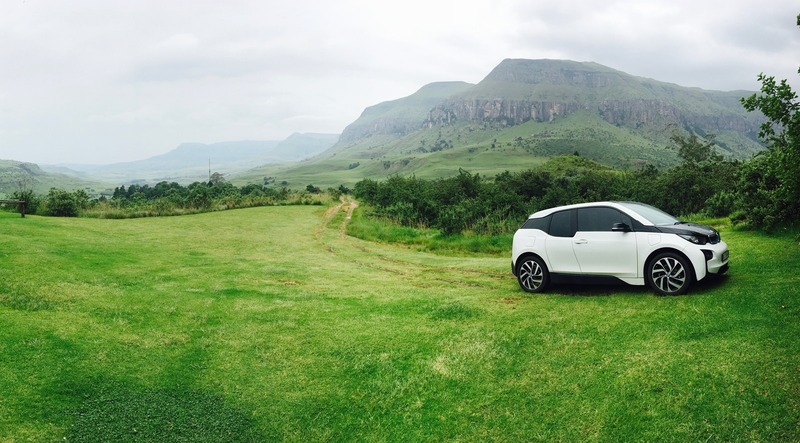 Never anything as bold as Joburg to Cape Town – the long way round – but I’ve made it to the coast at Sodwana, and the Drakensberg is a regular weekend jaunt for me in the i3. I can make it there on less than R200 worth of petrol, so why not? Between all those prior trips and this epic one, I’ve never found a place where I’ve stayed that has not let me charge the car overnight. This, of course, buys you an extra free 130 km before the petrol generator needs to kick in on the next day’s driving. It’s always fun to see the fascination of the guest-house or hotel owner when they’re presented with a request to charge the car. Offering EV-charging stations is something that more and more hotels and guest houses are doing internationally, and it’s a matter of time until South Africa follows suit. It’s nice to know that this is not the last time they will receive this request.